Most Weekends except those dates listed below, we will be at Reyes Winery in Agua Dulce pairing their wonderful wines with our fabulous chocolates. Their address is 10262 Sierra Highway, Agua Dulce, CA 91390, and their phone number is (661) 268-1865. They are open 11 am to 6pm from now until Daylight Savings Time ends and will then be open from 11am – 5pm. Please feel free to email us to see if we will be there. There are a few other dates we will not be at Reyes beyond those listed below, but some of our products are always available for purchase at Reyes Winery. Antelope Valley Winery has invited us to join them at their weekly Farmer’s Market located at 42041 20th St W, Lancaster, CA 93534. With more than 20 vendors, this is a great place to come and purchase local produce, wine, cheese, and our chocolate. We will be located inside the Antelope Valley Winery; the Farmer’s Market is located in their parking area. As a special event, AV Winery will present 3 of their award-winning wines @ 2 ounces each with 3 of our wonderful Chocolate Truffles. Tickets need NOT be purchased ahead of time. AV Wine club members will pay $5 for the pairing, and non-members will pay $10. Our Chocolate Truffles will be available for purchase at this event. Come and join us on Saturday! The Sanctuary at Soledad Goats has invited us to join them for Artisinal LA. This is a ticketed event. For more information or to purchase tickets, please click on the 2nd link previously mentioned. We will be featuring our Dark Chocolate Cherry Almond Goat Cheese Truffles. 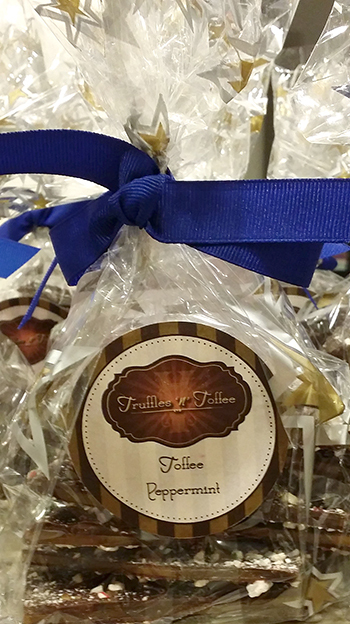 These Chocolate Truffles will be available for purchase at this event. Come and join us on Saturday! The Sanctuary at Soledad Goats has invited us to join them for Artisinal LA. This is a ticketed event. For more information or to purchase tickets, please click on the 2nd link previously mentioned. We will be featuring our Dark Chocolate Cherry Almond Goat Cheese Truffles. 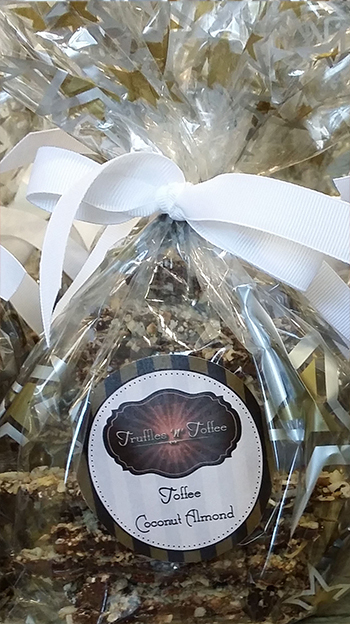 These Chocolate Truffles will be available for purchase at this event. Come and join us on Sunday! The Sanctuary at Soledad Goats has invited us to join them for Fall Festival. This is a FREE event. For more information click the Fall Festival link. We will be featuring our Dark Chocolate Cherry Almond Goat Cheese Truffles and our NEW GOAT CHEESE GANACHE CHEESECAKES!!! 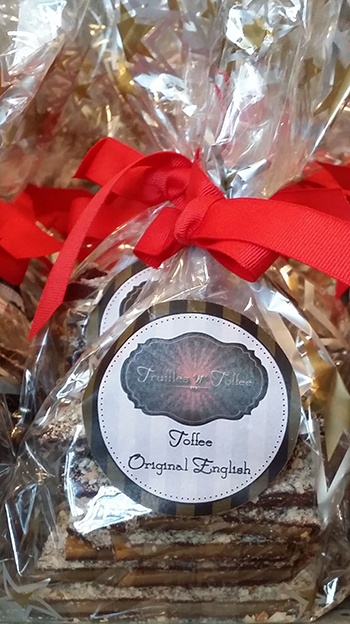 We will also have our Original English Toffee available for purchase. Come and join us on Sunday! This is a great event filled with lots of wine tasting, plenty of food, TRUFFLES ‘N’ TOFFEE chocolates and toffee, and great entertainment. We will be located inside Pottery Barn located on Town Center Drive in Valencia, Ca. This is a ticketed event, so please be sure to purchase your tickets ahead of time. 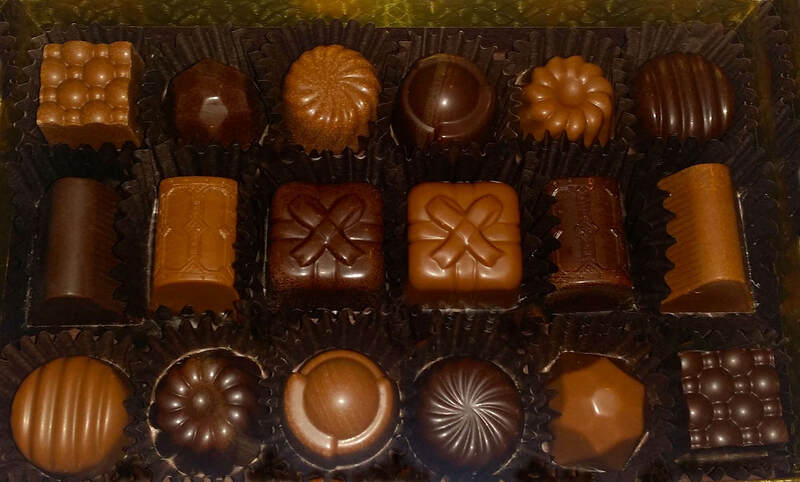 We will be featuring one of our new Goat Cheese Chocolate Truffles, one of our Liqueur Truffles as well as a few of our traditional Chocolate Truffles and our Original English Toffee. These and some of our other chocolate creations will be available for purchase at this event. This will be our second consecutive year participating in The Westlake Village Junior Women’s Club (WVJWC). They will be hosting their 33rd Annual Gingerbread Fundraising Boutique located at St. Maximilian Kolbe Catholic Church in Westlake Village. In 2013-2014 WVJWC donated over $30,000 to charities seeking funding through events like the Gingerbread Boutique. The Charities included: Cancer Support Community, Many Mansions, Conejo Free Clinic, Temple Adat, and Lutheran Social Services. Please email us with any questions at gingerbread@westlakejuniors.org. This is a ticketed event. For tickets and more information, please click the following link: Gingerbread We will be featuring a wide range of our Product Line including our Bars, Squares, Toffees, and Truffles. We will also be featuring our New Goat Cheese Ganache Cheesecakes; these will be in limited quantities, so be sure to get your early! Antelope Valley Winery has invited us to join them at their weekly Farmer’s Market located at 42041 20th St W, Lancaster, CA 93534. With more than 20 vendors, this is a great place to come and purchase local produce, wine, cheese, and our chocolate. We will be located inside the Antelope Valley Winery; the Farmer’s Market is located in their parking area. As a special event, AV Winery will present 3 of their award-winning wines @ 2 ounces each with 3 of our wonderful Chocolate Truffles. Tickets need NOT be purchased ahead of time. AV Wine club members will pay $5 for the pairing, and non-members will pay $10. Our Chocolate Truffles will be available for purchase at this event. The three wines be paired will differ from the previous wines featured in October, and we will be featuring 3 different Chocolate Truffles as well. One of our pairings will include our Dark Chocolate Cherry Almond Goat Cheese Truffle; you will not want to miss out on this awesome pairing. Come and join us on Saturday! 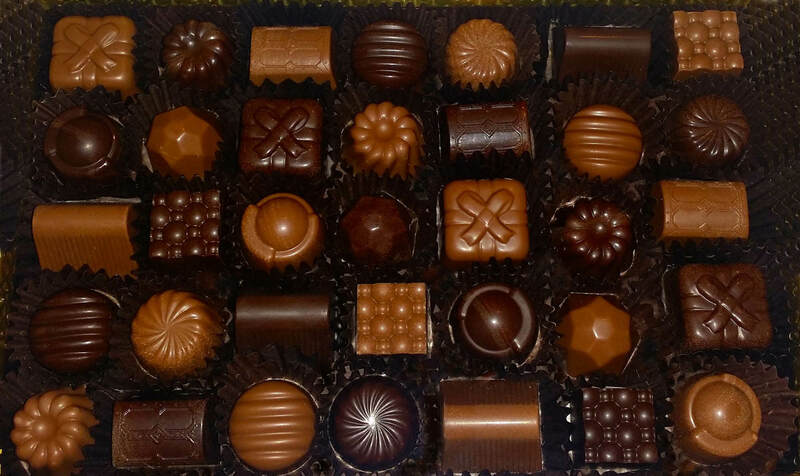 Congregation Beth Shalom’s Men’s Club will be hosting a Dessert Wine and Chocolate Pairing event. This is a ticketed event and a fundraiser. More details to follow soon. Join us at Studio Bijoux in Canyon Country for their Big Salon Holiday Boutique. 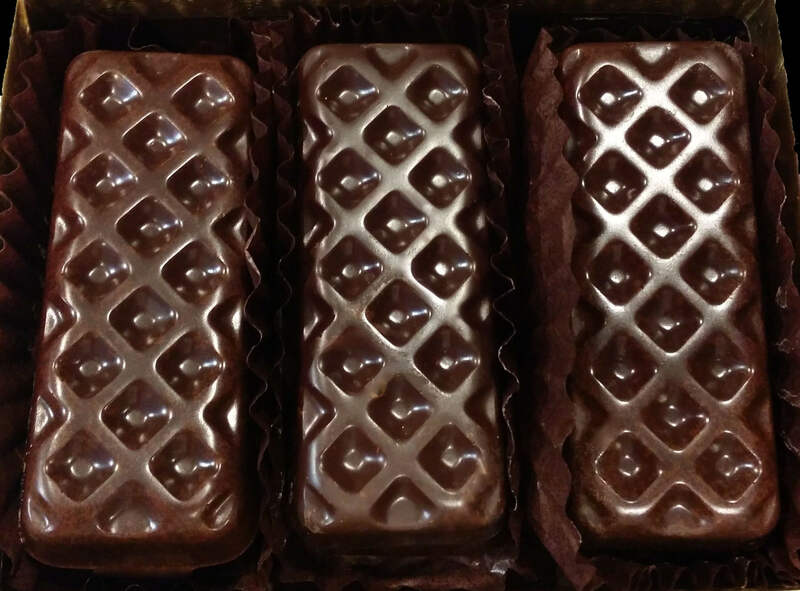 We will be featuring our Caramel Cris -P Bars, our Peanut Butter Ganache Squares and our New Almond Butter Ganache Squares along with our Chocolate Truffles and our Original English Toffee. This is a FREE event. Studio Bijoux is located on Soledad Canyon Road in the Edwards Cinemas Shopping Center across from Route 66. There is plenty of parking, and the ladies that work there are nice and friendly. Join us at Red Oak Elementary School for their annual Holiday Boutique located at 4857 Rockfield St, Oak Park, Ca 91377. 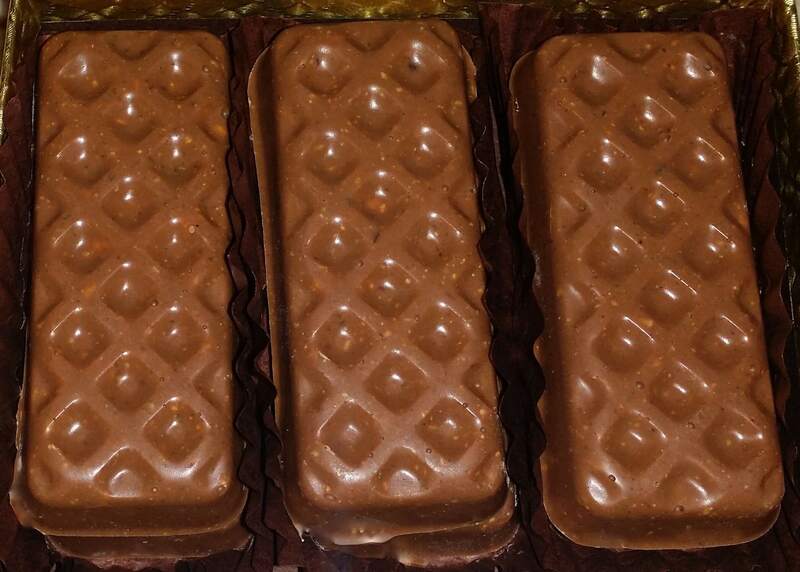 We will be featuring a wide range of our product line: our Caramel Cris -P Bars, our Peanut Butter Ganache Squares and our New Almond Butter Ganache Squares along with our Chocolate Truffles and our Original English Toffee and a few other of our Toffees. Join us at St. Paschal Baylon School located at 154 E. Janss Road, Thousand Oaks, Ca 91360 for their Annual Christmas Boutique and and Fashion Show. 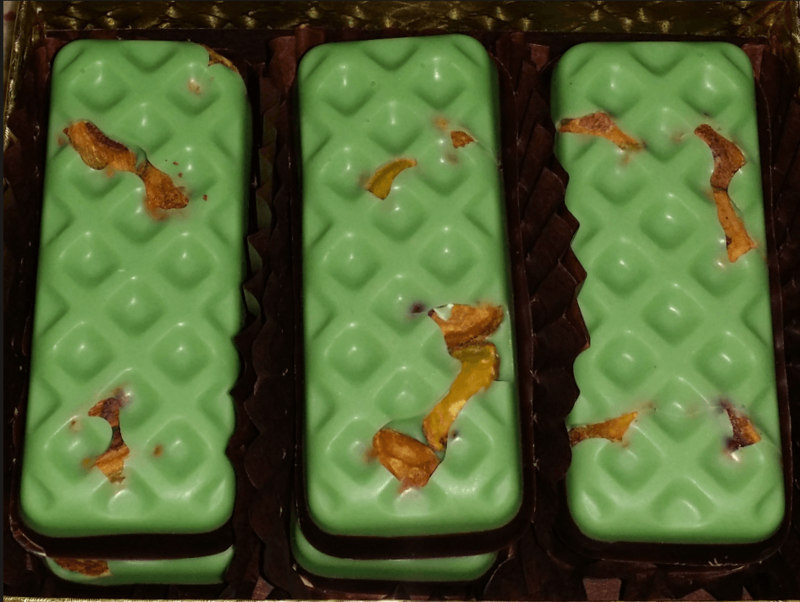 We will be featuring a wide range of our product line: our Caramel Cris -P Bars, our Peanut Butter Ganache Squares and our New Almond Butter Ganache Squares along with our Chocolate Truffles and our Original English Toffee and a few other of our Toffees. Join us at the 34th Annual Home Tour League Holiday Home Tour and Boutique located at Pico Canyon Elementary School on Pico Canyon Rd in Stevenson Ranch; this event supports the Henry Mayo Newhall Hospital Foundation. 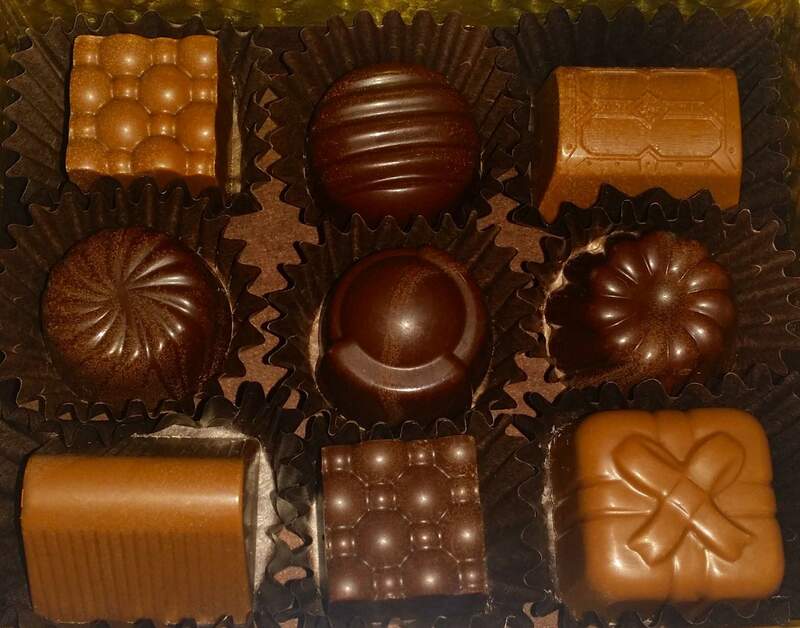 We will be featuring a wide range of our product line: our Caramel Cris -P Bars, our Peanut Butter Ganache Squares and our New Almond Butter Ganache Squares along with our Chocolate Truffles and our Original English Toffee and a few other of our Toffees. This is a FREE event.